Aussiebet is your one-stop destination for Aussie bookmakers, dedicated to providing the means and the crucial information to Australia’s most avid punters. This is more than a collection of the best Australian betting sites. Our scope goes beyond! Your safety in the online sports betting world is of utmost importance. That’s why we’ve gone the distance to prepare honest and unbiased online bookmaker reviews. Our team has more than 20 years of direct experience in the sports betting industry. Follow our advice, and we promise you a pleasant betting experience! Where to bet? Which online bookmaker has the best odds? Why join a given online sportsbook? Aussiebet has it covered! Embodiment of Synergy in the AU Betting Industry! Bet on Any Tournament You Wish! The Best LEGAL Aussie Bookmakers are on Display! The one and only truth is, online sports betting is 100% legal in Australia, as long as you’re placing your bets at Australia licensed online bookmakers. It’s essential not to drift away, to make bad decisions because of lucrative odds and put your safety in jeopardy. Predators are preying on the uninformed, reckless punters that are too eager to take advantage of overwhelming odds. Aussiebet has nothing against big odds, but only if the entity that offers them is authorized by the Australian Official Authorities. Besides exposing the flaws and embracing the features, Aussiebet brings you the best Aussie bookmakers bonuses and free bets, a plethora of bonus bets, with great attention to the small print. Who has the best customer support? What are the best payment methods? Should you trust these Australian betting sites? We'll answer all that and more within our unbiased and objective review pages. Soccer, Horse Racing, Tennis, Rugby and Much More! Online bookmakers based in Australia know exactly what passionate punters want. Nevertheless, most of them have made sure all sports, all markets are provided. Eventually, it all boils down to the quality of the odds. Regardless of the market, the odds are what matters the most. Then again, it’s virtually impossible to come across two identical online sportsbooks. It takes an experienced eye and many hours of your time to find the best online bookmaker for the events you’re keen on. Nothing to fret about, because we at Aussiebet have made sure we point you in the right direction. Even once you join the respective bookmaker, we will provide you with valuable insight, useful analysis, which if put to good use can make your online sports betting experience much more pleasant, hopefully! Nothing is certain. After all, that’s why sports betting is so exciting! It doesn’t matter if you are into horse racing, or maybe you're passionate about cricket betting, or you closely follow the soccer or tennis scene, we pledge our allegiance to you, to inform and warn if necessary, to note and to always protect your interest. Although seemingly irrelevant, all of the aforementioned can have a significant impact on your balance. Most of these are mentioned somewhere in the terms and conditions, but not necessarily. That’s why it’s important to find a reliable source of information (not data), that will give you a better idea which online bookmaker to choose. Australia’s brightest and finest punters have selected several bookmakers as their favorite over the past few years, labelling them Australia’s Best Online Bookmakers. We got them covered as well! 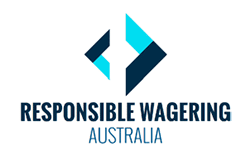 However, even they are flawed, but they are flawed the least out of all Australia licensed Online Bookmakers. A crucial aspect of the overall online betting experience is funding your betting account. However, even more important is how you're going to withdraw all those winnings. Australian betting sites comfort punters by offering almost a dozen payment options. Making payments comes at a price, but not necessarily. It all depends on which payment methods you're going to consider. We're straightforward regarding this matter, and we can confidently say that PayPal is literally the go-to payment method for all avid Aussie punters. The best PayPal betting sites in Australia go above and beyond, putting the customer above else! A little generosity goes a long way, if it's promoted accordingly. Every new day brings a new set of enhanced odds which bookmakers are trying to “sell”. Sometimes attractive, other times just misleading, regardless, they should be considered and in an objective manner. The quality of a Bonus Bet depends on the small print it comes with. How many times should the bet be played through? Are there any cashout limits which apply to the bet in particular? What markets qualify? What are the minimum qualifying odds? It's essential you get nothing but unbiased information that will guide you in the right direction, or at the very least, information that will give you an idea what steps you should take next. We don't want to get much of your time, and although we think we shouldn't bug you with this, please, bet in moderation. You have the liberty to place all the bets that you please, but make sure it's within your budget. The bottom line is that betting should be first and foremost FUN.